New Years are usually heralded by lots of sparkles and glitter. I don't have those handy *sad face*. 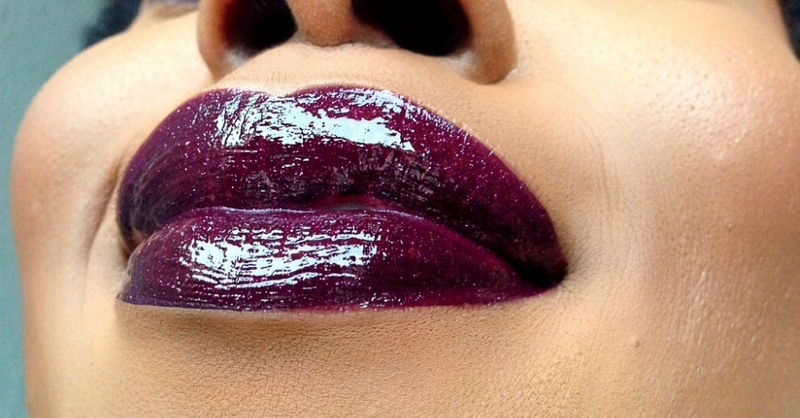 What I do have, is a gloss with some grainy glitter in it. 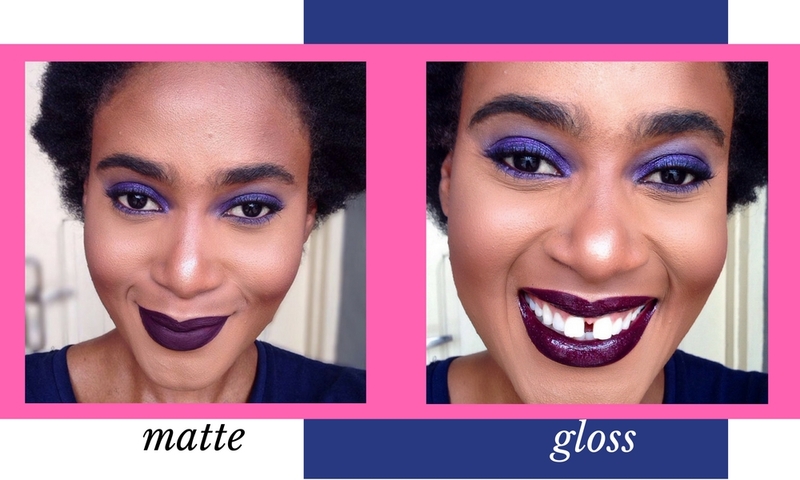 Since it's still the festive season and I'm still enjoying my dark side with the dark lips and all, I decided to pair a matte dark lip colour with the glitter gloss for my first beauty post this year. Have you checked out my First Post of 2017? 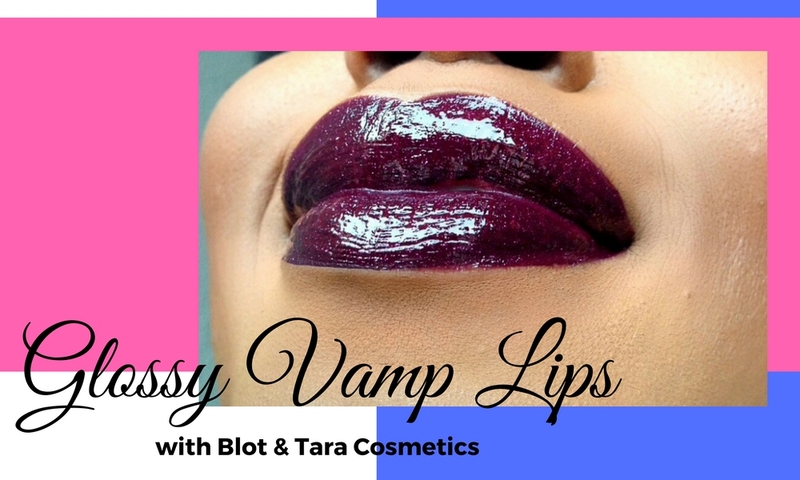 I've had both products for a while now - House of Tara Tiye lipgloss (I got from my Tara Beauty Bruncheon goodie bag) and the Blot Cosmetics Sort lippie (one of the first Blot products I was gifted when the brand launched). I really don't wear lip colours a lot so you know this was a very daring look to try out but I really liked it and will be wearing this more often. I really like making lip videos and am looking to do some more of them. 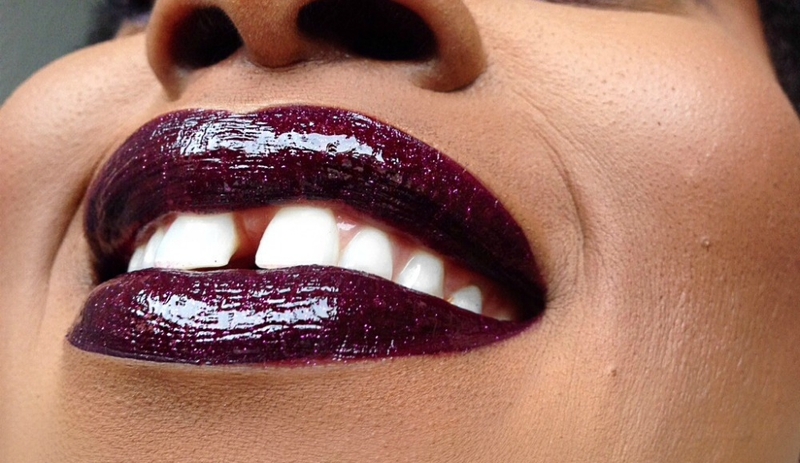 If there are any particular lip looks you'd like me to try out or create, do let me know in the comments and I'll be sure to give them a swing. Did you like this look? Is it something you are brave enough to wear out on a normal day or dowa it have to be an event?